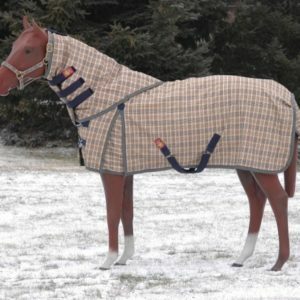 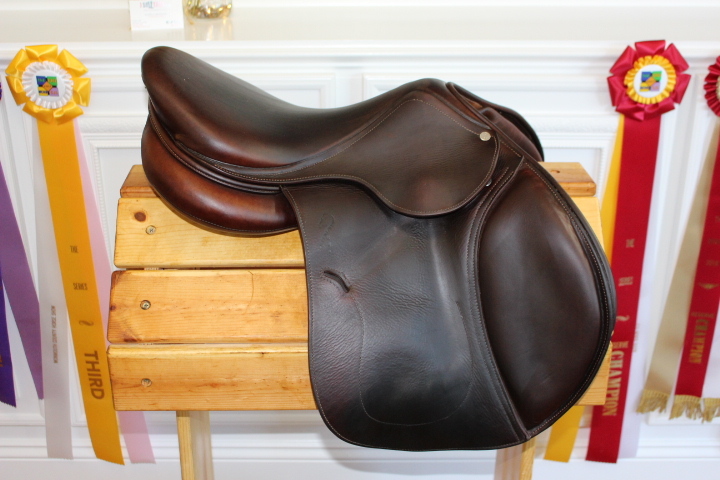 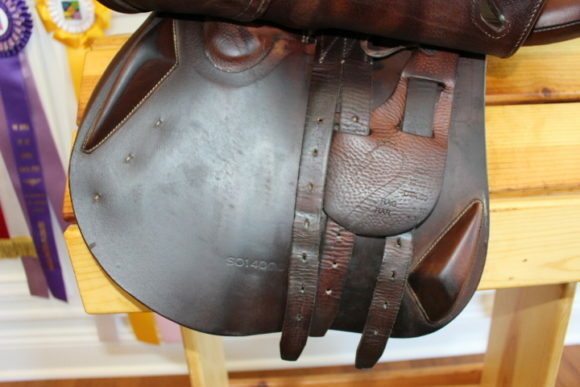 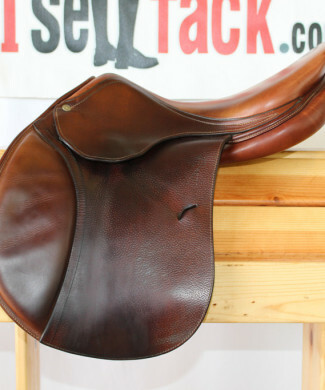 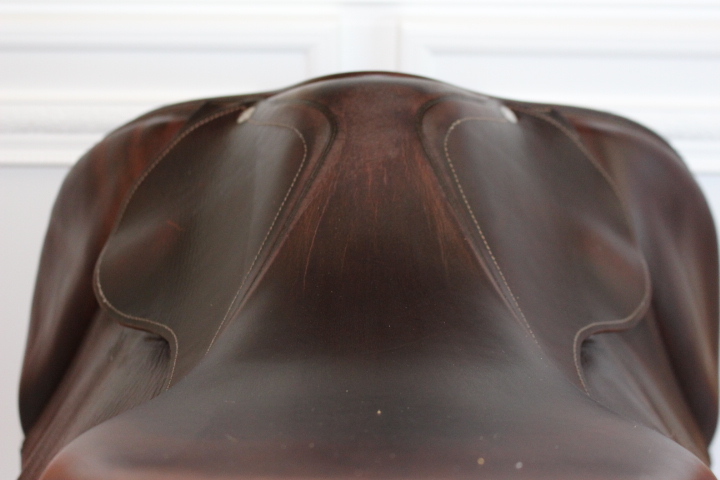 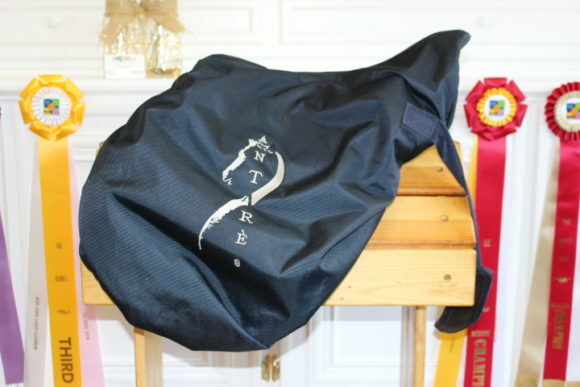 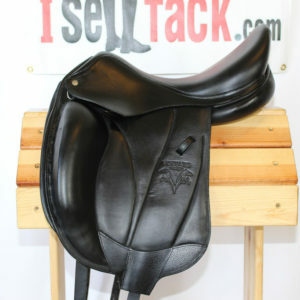 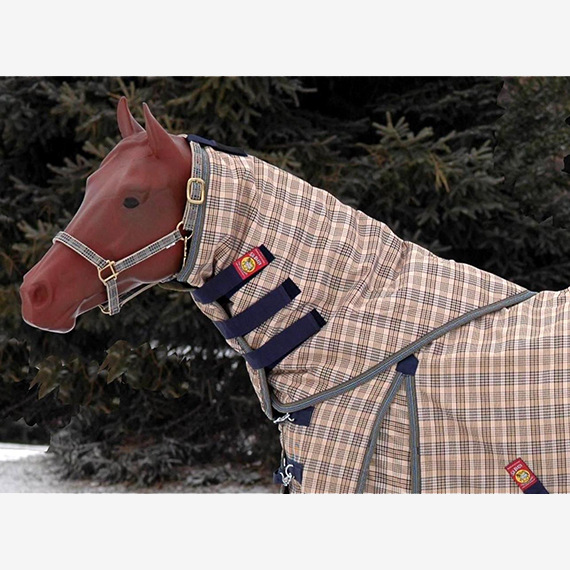 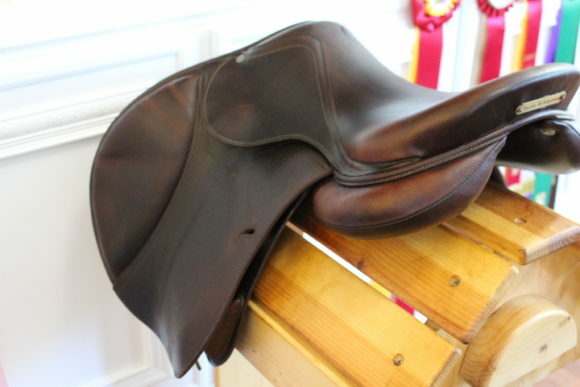 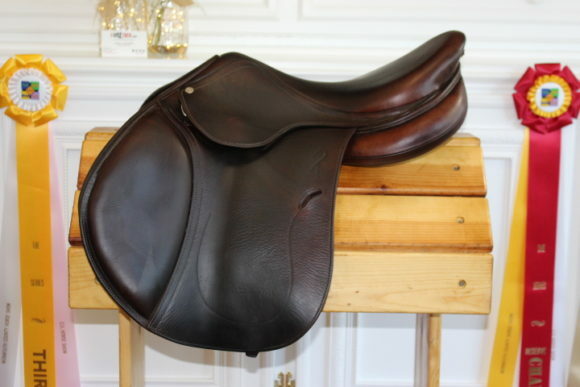 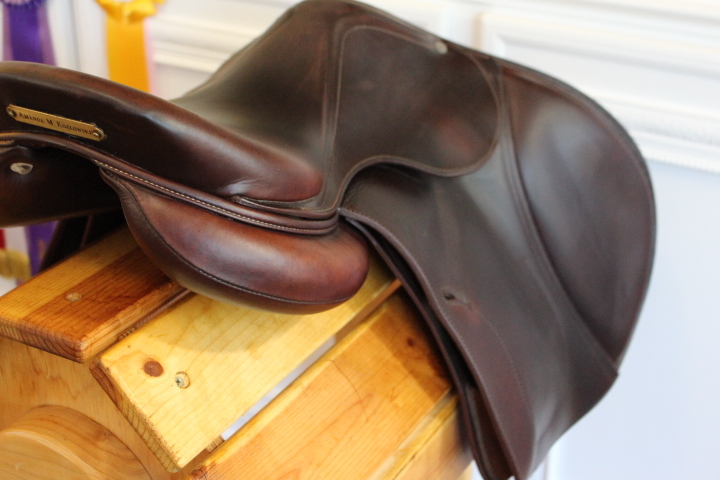 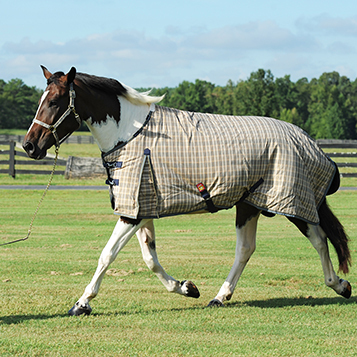 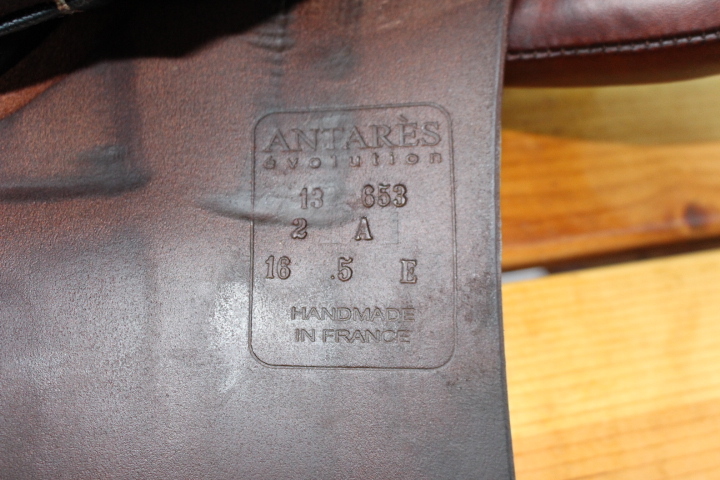 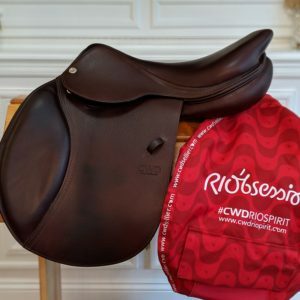 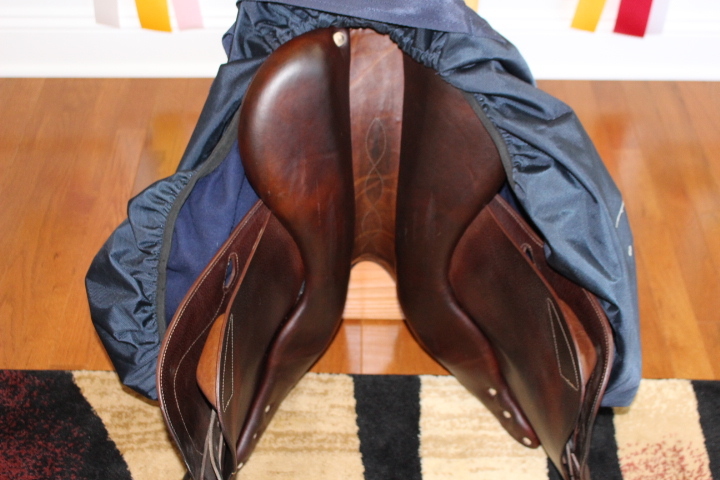 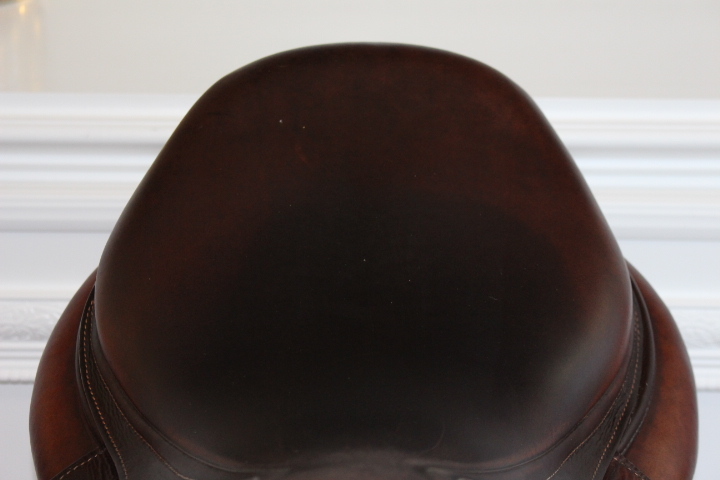 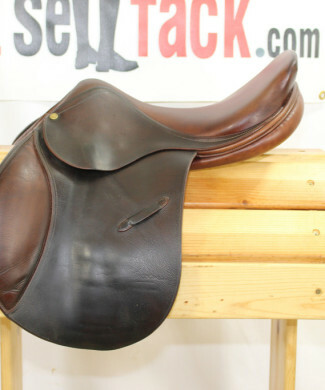 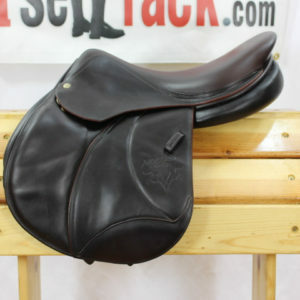 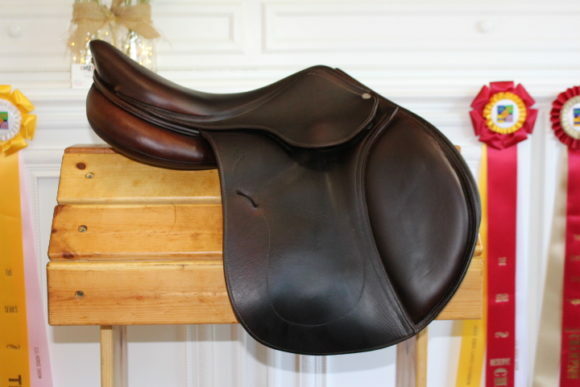 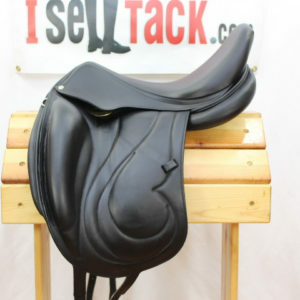 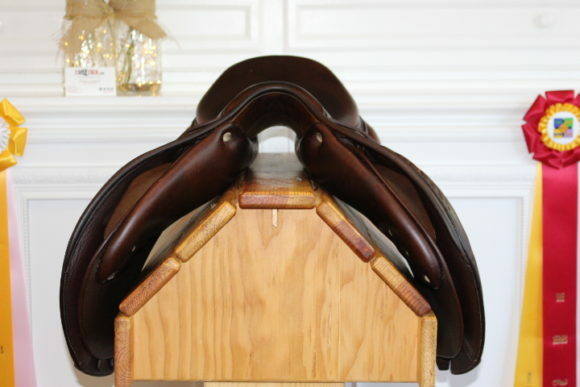 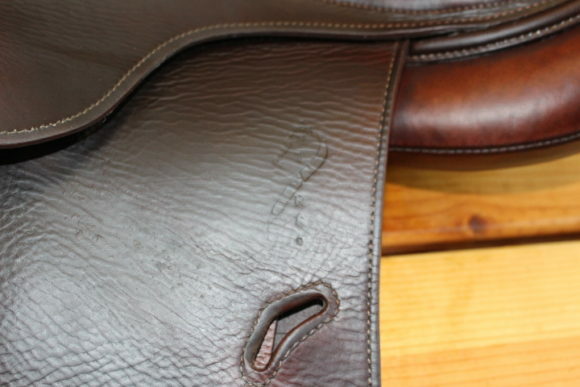 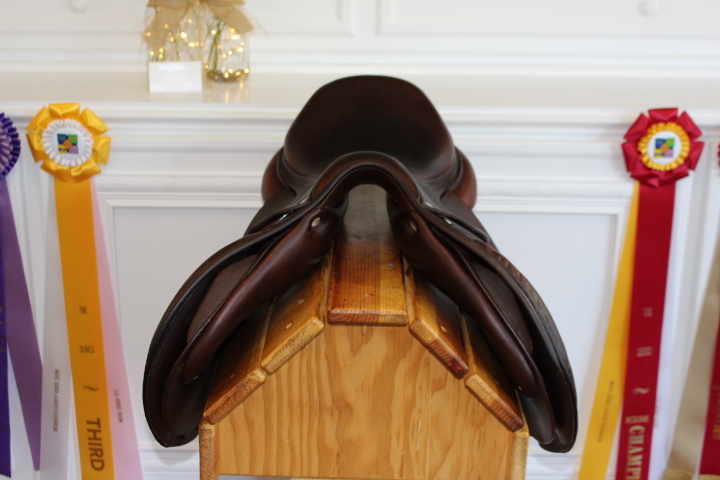 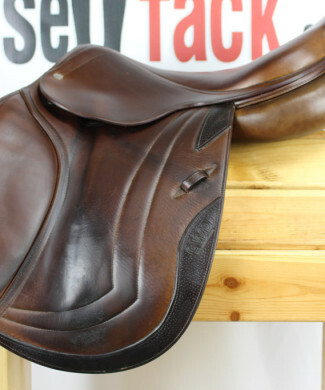 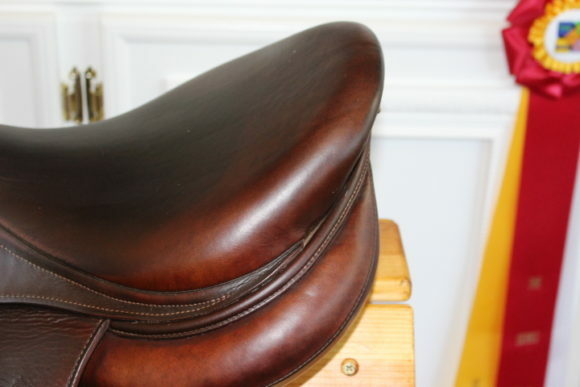 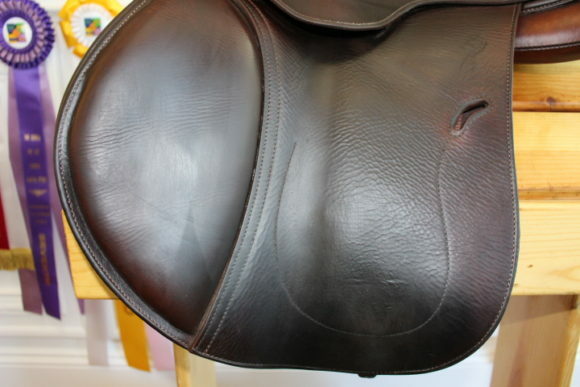 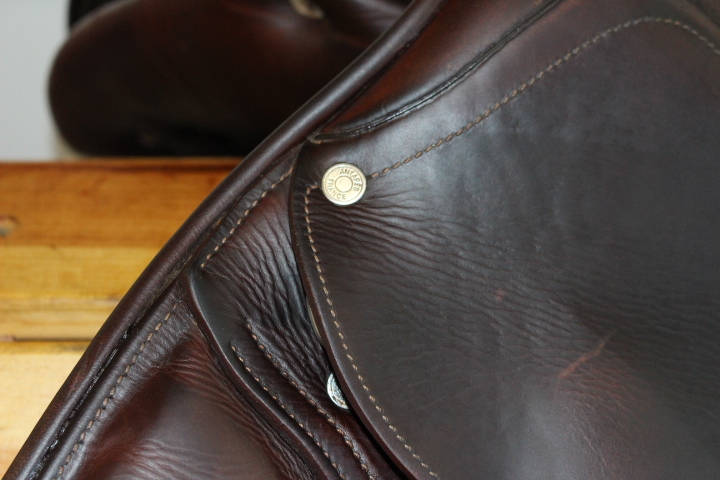 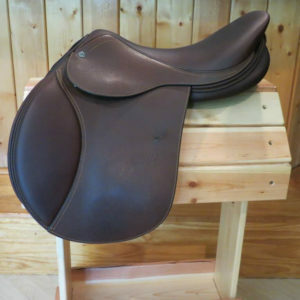 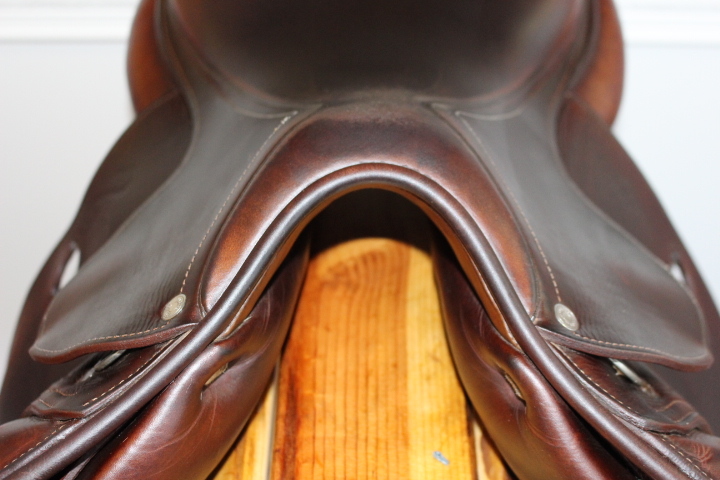 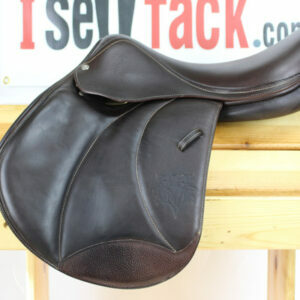 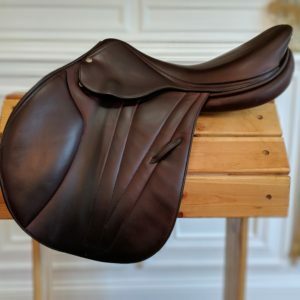 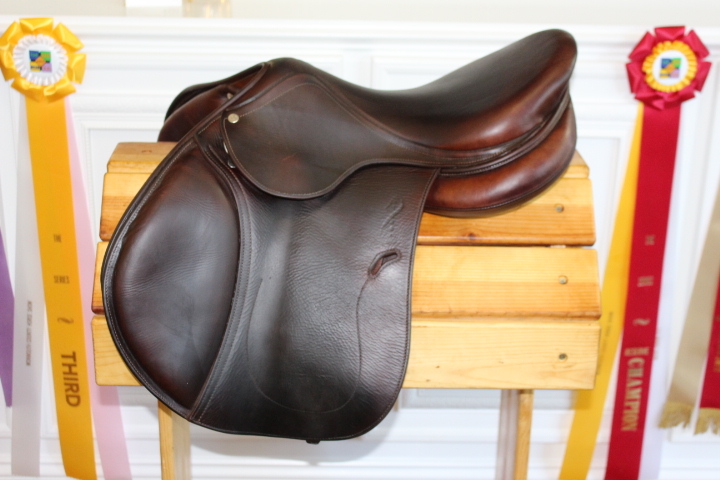 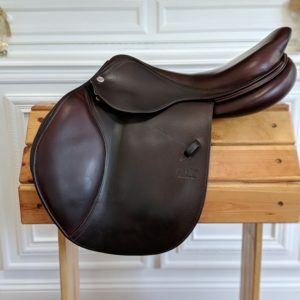 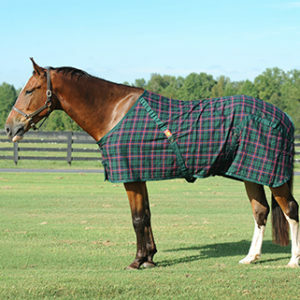 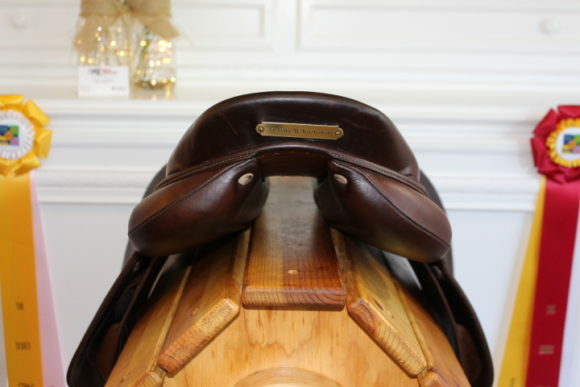 Wonderful, 16.5″ (measures 17″) Antares featuring sticky, grippy FULL buffalo leather. 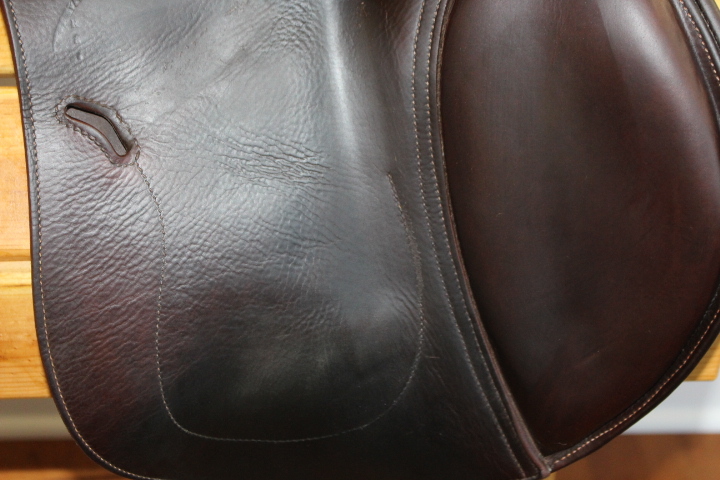 Generous 4.5″ tree. Regular and forward 2A flaps measure 13.5″ long x 14″ wide feature front and rear blocks. 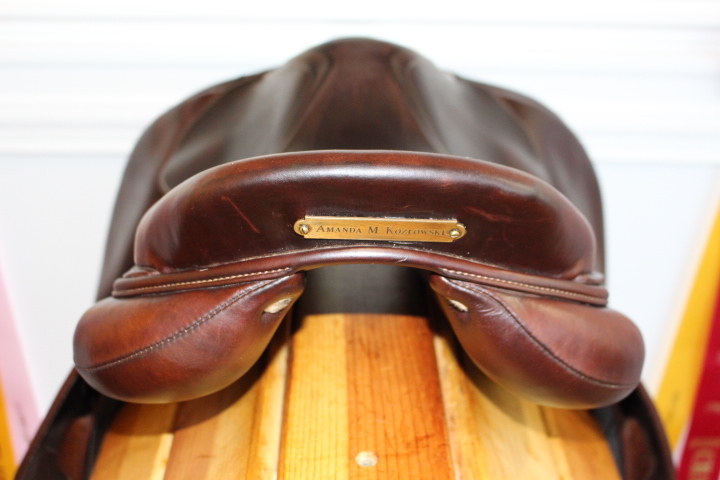 Grippy, comfy and secure! 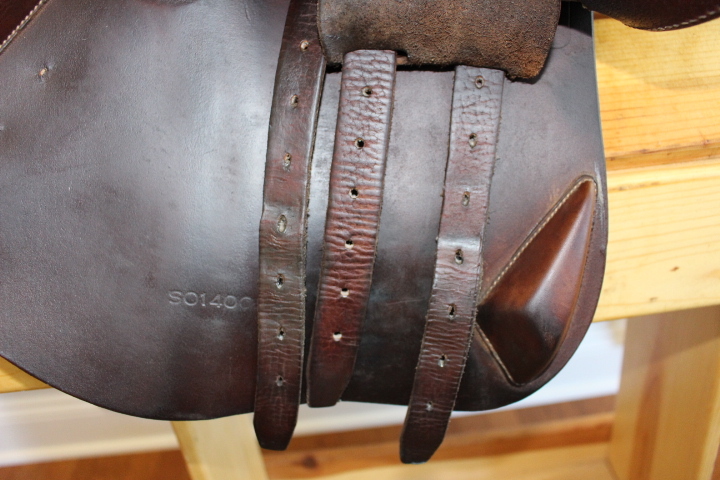 Some minor rubs on the pommel which are not very noticeable.